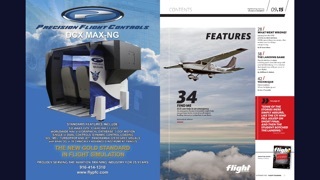 Delivers AOPA's monthly magazines to members of the Aircraft Owners and Pilots Association. 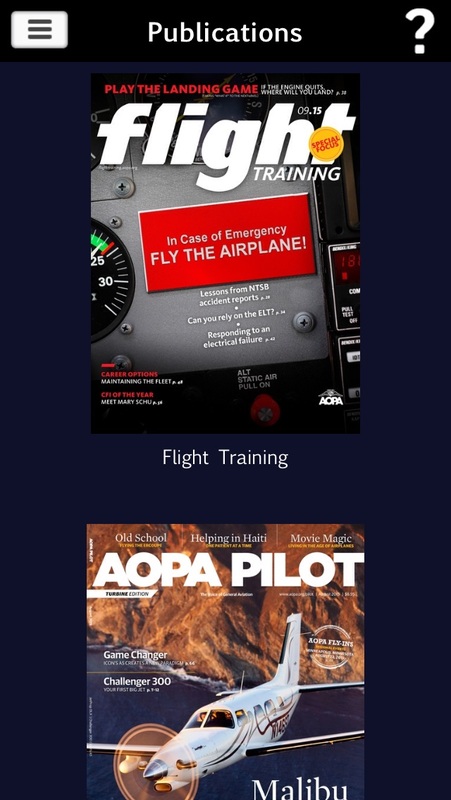 AOPA Pilot and Flight Training are available to AOPA digital subscribers. This feels like an old app. It also feels deeply non iOS native. I have had to restart it repeatedly to get it unstuck. Also, the interface is clunky, unintuitive and slow / unresponsive. Friends, you can do better. The app should have some basics, such as bookmarking. It is also slow to open up because if you leave the app for more than a few minutes it will default to the catalog page and go through an authentication process before showing your content. Why can’t it just open up to the very last place you left off, even if it has been a WOWK since you last looked at it? The app is fine, I can read the magazine and the performance is good. The main problem is that the UI is scaled up from the 9.7” iPad size. This doesn’t look good on the 10.5” iPad Pro. 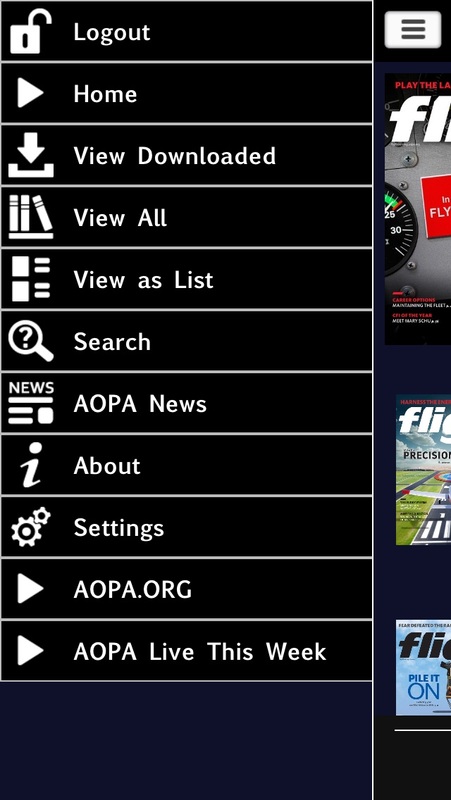 I don't read every issue of AOPA Magazine like I used to. Not EZ to download, and forget about it if traveling and not on wifi. I wanna like it, but so many things are wrong: - format is literally the print layouts. Not tuned for digital delivery at all. - reloads every time I go background to foreground - it's slow. - It's nearly useless on a phone sized screen. This app is unacceptable. 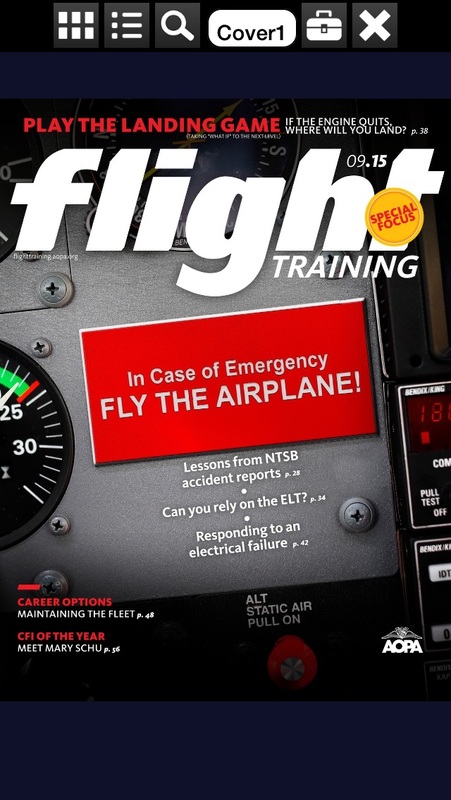 The most current issue of "Pilot" magazine available for reading is Feb. 2015 (just after Amelia Earhart crashed). I am writing this in Aug. 2017. Come on AOPA, you can do better.